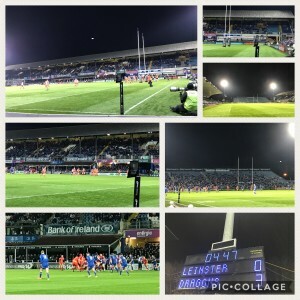 Foxrock division once again played its part on Friday helping our sister division’s man the RDS grounds for the much anticipated Guinness Pro 14match between home favourites Lenister Rugby club VS our highly rated guests from across the water in Wales the Dragons. The game had been highly speculated to be an outstanding match and as such high attendance was expected. Multiple St John Division’s had been drafted in to help cover the event and Foxrock had sent three adult members as well as two cadets to aid in the efforts. We took up our positions around the stadium for the match and watched in awe as the players battled it out on the rugby pitch. Dragon’s scored an early conversion followed quickly by a try and they seemed to dominate the pitch. 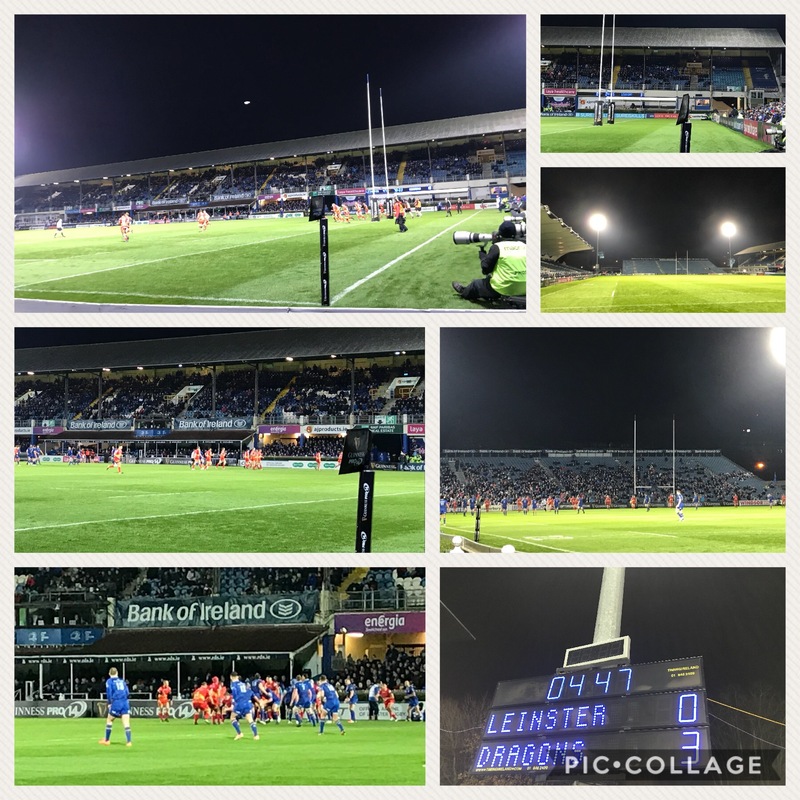 However all was not lost for the home side as Leinster returned the fight scoring a try before the first 10 mins were even out. They proceeded to score another two tries in quick unison before the half way mark. Leinster quickly started the second half scoring another two tries extending their already expanse lead cheers on by the ever wonderful supporting fans. The energy in the grounds was amazing and the blue flags were out and waving proudly from every corner of the stadium. The game finished off with a final score of 54 Leinster, 10 Dragon’s. Fortunately for St John Ambulance there had been very few injury’s or problems and overall the event went off without a hitch. As always we just hope that the next match will also have very little issues and that once again Foxrock members will be there doing our part for the greater rugby community.